I’m in Lexington, Kentucky when I text George Motz (author of Hamburger America) about a restaurant I had just eaten at. He responds that I’m not too far from Dovie’s and that I absolutely must hit it up. 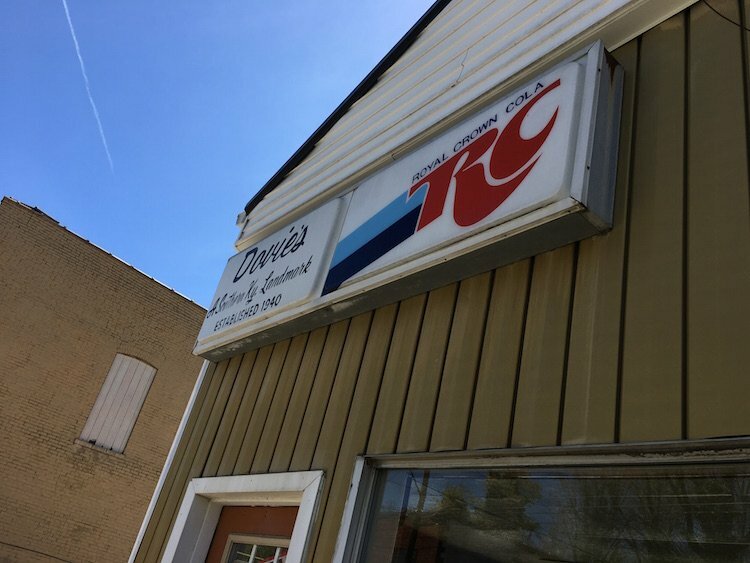 Dovie’s is in Tompkinsville, Kentucky and opened its doors in 1940. The restaurant was named after the founder’s sister. We were able to find parking right in front. We walk right into an old school horseshoe counter so I make my way to the farthest end. There’s a lot of hustle & bustle with folks sitting down to eat and many grabbing bags of Burgers to go. George mentioned that I needed to get my Burger “unsquozed“, sure I thought. So I strike up a conversation with Tina McIntyre who happened to be the manager. She explained the unsquozed or squozed thing. The Burgers are cooked on a flat top in about a half an inch of soybean oil. Squozed means that you’d like to have your patty drained of all the excessive oil via spatula and unsquozed with everything intact is apparently the way to have it. I also ordered a Hot Dog which also received a nice crispy char from the oil bath. 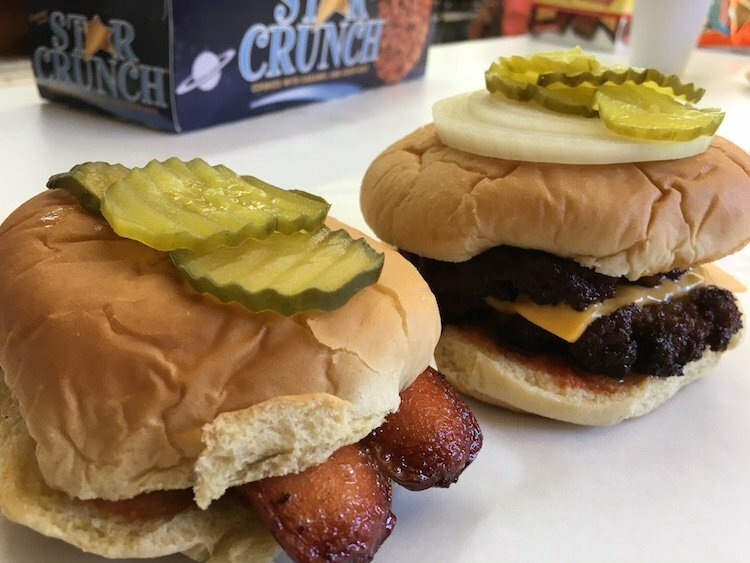 The first thing I noticed on the patty was the extreme char it had on the outside. It is not burned in any way since I know that will be everyone’s first thoughts when looking at it. 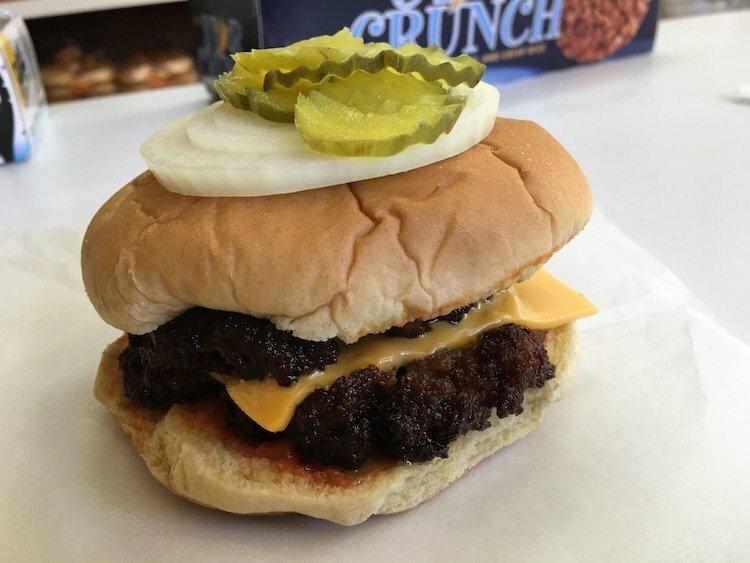 I removed the top bun, added the Onions, a couple of Pickles and went to work. There’s a secret sauce lurking under the bottom patty and on the bottom bun. The texture is the next notable thing which told me this was not a full on beef Burger. It was more like a Slugburger. If you’re not familiar with the term it might turn you off. A Slugburger does have beef but also some extender like possibly flour or soybeans. The “Slug” part of the name references counterfeit coins sized as nickels that were used to trick vending machines. It’s very soft and not like a regular ground patty you may be accustomed to. My friends in South Florida will understand when I say the consistency of the patty is like that of a Croqueta. Hey, I love Croquetas so this was a match made in heaven. 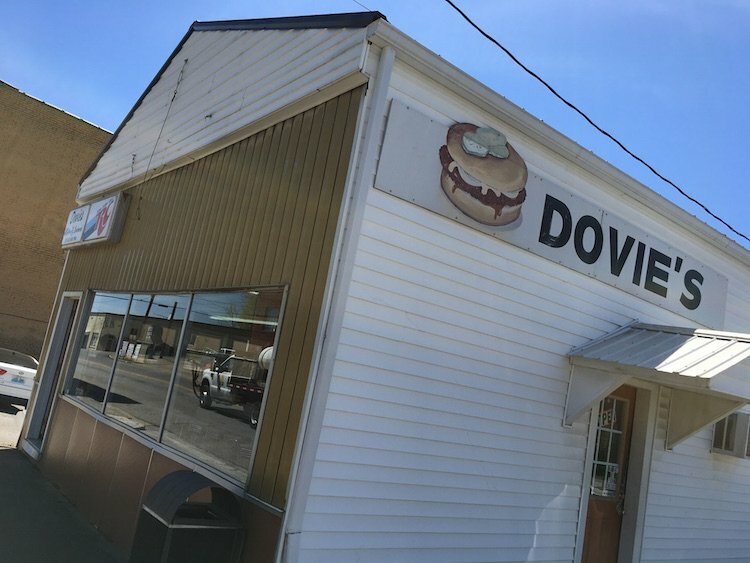 Dovie’s has been around for over 70 years. They’re doing things their way and you can only hope they will never change or go away.